Judge Adrienne Hinnant-Johnson gave each defendant a $200 fine, 20 hours of community service and three months of probation. El-Sayed and other protesters were arrested October 2 at a “Fight for $15” protest for higher wages and union rights on Woodward Avenue. Workers from fast-food franchises, Detroit Metro Airport and local hospitals marched down Woodward before gathering outside the McDonald’s in Midtown. Some of the protesters continued to block the street after police threatened arrests. They sat at a table blocking Woodward and refused to leave. Police arrested the group for disorderly conduct. Some of those arrested, including incoming Congresswoman Rashida Tlaib, were never charged. Those who were charged pleaded guilty to disorderly conduct. El-Sayed and many of the others stood stoically as they were sentenced this morning in 36th District Court. “In the face of injustice, dissent is dignity,” El-Sayed said in a press release. The minimum-wage protest is as relevant today as it was in October after Michigan’s Republican-led state Legislature this week voted to drastically weaken two initiatives to raise the minimum wage and paid sick leave after depriving voters of the right to vote on the issues. The House, in a lame-duck session, delayed a minimum-wage hike to at least 2030 and scaled back paid leave requirements on Tuesday. It’s unclear whether Gov. Rick Snyder plans to sign the bills, one of which would prevent a planned increase of the state’s $9.25 minimum wage to $12 an hour in 2022. In another bill, employers with fewer than 50 workers would be exempt from providing paid sick time. The bill also gutted the amount of annual mandatory leave at larger businesses from 72 hours to 36 hours. Some of the sentenced protesters are fast-food employees who don’t make enough money to pay their bills, working for as little as $9.25 an hour. At that rate, they’ll have to work more than 20 hours to pay the $200 fine. “We have a responsibility to keep working for a more just, more equitable, more sustainable Michigan,” El-Sayed said. 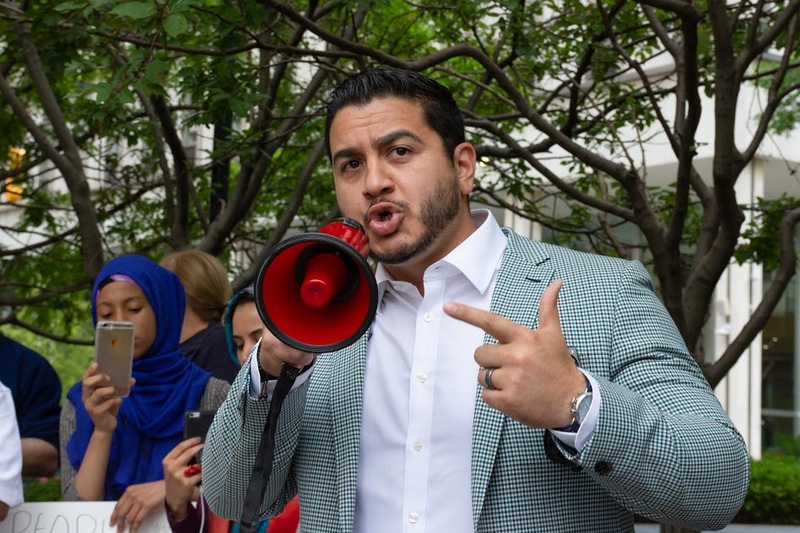 After finishing second in the Democratic primary for governor in August, El-Sayed launched a political action committee, Southpaw MI, to support liberal candidates and to take positions on ballot initiatives. During his campaign, Abdul was endorsed by Sen. Bernie Sanders, Democratic congressional nominee and democratic socialist Alexandria Ocasio-Cortez, and 2017’s Women’s March organizer Linda Sarsour. The others who were sentenced Thursday were Paulette Compass, Sharai Cunningham, Shaineska Galindez, China Graves-Singleton, Tasanta Holly, Jennifer Jackson, Antoinette McDonald, Terrance McDonald, Pamela Owens-Moore, Elizabeth Kiera Perry, Deangelo Price, Jamika Ruffin, Lachelle Sanders-Slaughter, Sheila Denise Smith, Jessica Alyssa Thompson, Justin X. Thompson and Luwanda Brittany Williamson.